The two are suspended from the team after being arrested as suspects in a forestry shed break-in. 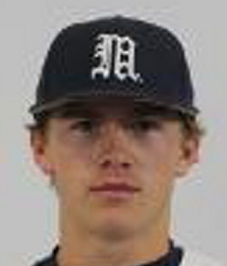 Two University of Maine baseball players have been suspended indefinitely from the team after they were arrested and charged with burglary Saturday afternoon. Lucas G. Morrill, 20, and Shane C. Bussey, 19, were arrested by campus police in the Hilltop parking lot on the Orono campus, University of Maine spokeswoman Margaret Nagle said. Nagle said that both players will remain on suspension pending the outcome of their legal proceedings. Attempts to reach Morrill, who is from South Thomaston, and Bussey, who is from Boynton Beach, Fla., were unsuccessful Tuesday night. Bussey’s mother, Tracy, who lives in Florida, said Bussey and Morrill live together. Morrill’s father, George, referred all questions about the arrest and suspension to his son. Nagle said that at 2:23 p.m. Saturday – not long after kickoff of the NCAA playoff football tournament game between Maine and New Hampshire before a crowd of 7,992 at Alfond Stadium – university police responded to a report of a burglary at the Woodsmen’s Shed in the university forest behind the Ornamentals Trial Garden. The shed is used by members of the university’s Woodsmen’s Team to store their equipment. The co-ed team competes on the collegiate level against other schools in the Northeast and Canada. “Two suspects were reportedly seen taking equipment from the building,” said Nagle, who based her information on a campus police incident report. Descriptions of the suspects went out to local police departments and Orono police officers detained two young men walking on campus who seemed a likely fit. Morrill and Bussey were placed under arrest by campus police and taken to the Penobscot County Jail in Bangor. 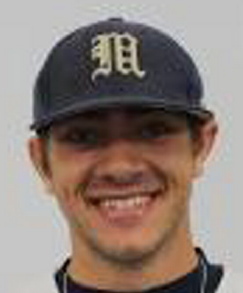 Morrill is a junior who pitched in 15 games for Maine last spring. He made one start and compiled a 2-1 record with a 5.12 earned run average. He was a two-year baseball captain at Rockland High School. Bussey is a sophomore infielder who batted .340 in 20 games, including nine starts. He hit one home run, stole two bases and batted in 12 runs. “There’s really nothing else to say until it gets investigated,” said head baseball coach Steve Trimper, declining to comment further.